Every time I turn on the television, there’s a new protest because George Zimmerman, a Caucasian, shot down an unarmed African-American, Trayvon Martin. Here’s the problem. 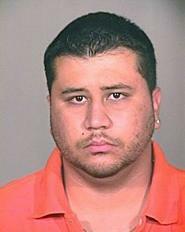 George Zimmerman is no more Caucasian than President Obama is Caucasian. Both have one white parent, and last time I checked I haven’t seen any news outlets trumpeting Obama’s election as the first white president. You have to feel sorry for George. For his entire life being Hispanic has worked against him. If he was going in for a loan, the loan officer would damn well consider him Hispanic. If he crossed a busy street, women instinctively locked their car doors. If he entered a pawn shop, security perked up a bit and kept an eye on him. Now is the one time in his life when being Hispanic would help deflect the charges of racism being leveled against him, and the liberal media has decided he’s not Hispanic. I would like the irony of this to sink in for a second. Over 87% of professional full-time journalists are white, but they trumpet diversity and consider their workforce integrated. Well George Zimmerman is 37% more integrated than you guys. If I was George Zimmerman I would give a press conference in Spanish while wearing a giant sombrero and accuse the leftist media of discrimination. They’re terrified of that accusation and most would instinctively enter grovel-mode and beg forgiveness. He should then shoot them. After all, that’s kind of what he does.